A cold but sunny day - so dinner at the cafe was called for. 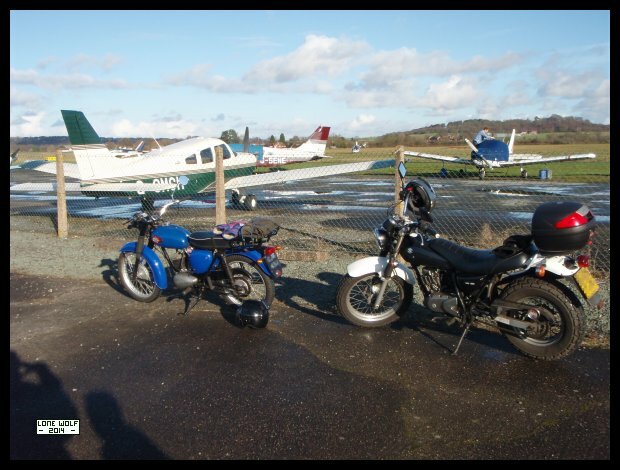 The Bantam and the Van Van stop at Halfpenny Green airfield on the way to the cafe. and learning how to use the MIG welder. Seeing as it was sunny but cold on Sunday, I decided it was time for a ride. The Bantam and the Van Van took to the back lanes and went for dinner.